It’s a not-so-subtle admission in this otherwise upbeat book that many people have been so demoralized by the economy and job market that they must first pick themselves off the ground before diving back into the search for work and a fulfilling livelihood. As this Labor Day weekend approaches, I take it as yet another small sign of how things have changed. This catastrophe was not caused by school teachers, assembly line workers, retail clerks, firefighters, nurses, labor unions, radical professors, or even — heaven forbid — trial lawyers. No, this was courtesy of the financial masters of the universe on Wall Street, with a big assist from their allies in Washington D.C.
And today, we’re still sorting through the human rubble. Thank goodness we’re not Greece. There still are millions of Americans who have good jobs with decent pay and benefits. But those numbers are dwindling. In particular, our middle class is shrinking, with a few moving into the top, and many more joining the economically vulnerable. A major study recently released by the Pew Research Center (link here) concluded that we are living in the “lost decade of the middle class.” The official unemployment rate hovers at around 8 percent, and the unofficial rate — including the vastly underemployed as well as discouraged job seekers no longer tallied in the official one — falls anywhere from 15-20 percent. Four years ago, the term “99ers” may have sounded like the name of a sports team. But now it refers to individuals whose unemployment benefits — extended during the recession to 99 weeks — have expired. Four years ago, “underwater” was an aquatic term. Now, of course, it refers to a mortgage balance — in many cases, despite timely payments — that exceeds the declining value of the home. Four years ago, I’m not even sure if “new normal” had a common meaning. Today it refers to accepting a higher official unemployment rate, say, 8 or 9 percent, as the new normal, replacing the “old” normal of maybe 3 or 4 percent. How targeted is this assault on everyday workers? Folks, it’s no longer about shared sacrifice or belt tightening when times are tough. Rather, in some circles it’s about paying rank-and-file workers as little as possible while top executives and shareholders reap the benefits of their labor. If you need evidence of this, look at the recent strike at the Caterpillar plant in Joliet, Illinois. As reported by Steven Greenhouse for the New York Times (link here), management strong armed the union into accepting wage and pension freezes despite record profits and a 60 percent raise given to the CEO! Need more? Talk to veteran employees of major commercial airlines, who in the post-9/11 world of air travel took huge pay cuts to help the industry survive, while in many cases high-ranking airline executives were collecting obscene bonuses. Perhaps you’re not surprised that I’m very concerned about the economic and social policies supported by the Romney-Ryan ticket. The hard right has so taken over the GOP that mainstream conservatives of 30 years ago would be branded as traitors to the cause today. Of course, I can’t promise that re-electing President Obama is going to result in dramatic progress either. But at least the Democrats aren’t serving up — as a featured convention speaker — the likes of South Carolina governor Nikki Haley, who repeatedly boasts proudly about being a union buster. I respect the fact that some readers do not subscribe to my generally liberal political beliefs. But especially for those who found this blog because of their own experiences with workplace bullying, I ask them to consider the possible connections. No, I’m not claiming that all Republicans are bullies and all Democrats are nice people. Far from it. I don’t see hard correlations between individual political beliefs and how people treat each other at work. Applied to my own political leanings, I readily admit there are some liberals I wouldn’t want to work for in a million years, while there are some conservatives I would trust and respect as my boss without qualification. Nor do I suggest that workplace bullying is limited to the big bad corporations. As I’ve noted here, some of the worst workplace abuse can be found in do-gooder non-profits, labor unions, and government agencies. But on a systemic, policy level, yes, differences emerge. For example, the two most powerful organizations opposing the anti-bullying Healthy Workplace Bill (HWB) are the Chamber of Commerce (a GOP favorite) and the Society for Human Resource Management. In Massachusetts, another powerful business lobby, the Associated Industries of Massachusetts, opposes legal protections for bullying targets. In the meantime, labor unions and civil rights groups have been the leading sources of organizational support for the HWB. It’s not as if opponents of the HWB are promising to discipline or dismiss the aggressors, in return for us dropping our support for legal reform. To the contrary, some are claiming that existing laws are sufficient to protect bullying targets, which they know isn’t true unless they’re listening to lawyers who don’t understand employment law. Others complain that legal protections against severe workplace bullying would serve as “job killers” by undermining productivity and the spirit of healthy competition. But what’s “productive,” “healthy,” and “competitive” about interpersonal abuse? There are honest differences of opinion as to where the law should draw the line on legal claims for workplace bullying. But shouldn’t it be wrong to treat another human being so abusively as to destroy one’s psyche and livelihood? Yup, as we approach this Labor Day weekend, the world of work and workers faces very serious challenges. And the stakes are too important for us to throw in the towel. Somehow, we must forge a more humane consensus about how people should be treated at work. Let’s claim human dignity as our starting place for employee relations and go from there. That embrace still leaves us to sort out the complicated questions of workplace laws, policies, and practices, but at least it recognizes the essential humanity of labor. After all, it’s hard to get the details right when the core values are absent. My law review article, “Human Dignity and American Employment Law” (free download here) contains a more detailed exposition on human dignity and the workplace. Ironically, I was completing the final manuscript right at the time the economy was melting down in Fall 2008. Those even mildly into astrological signs may know that we Cancerians are monstrously prone to nostalgia. I fall squarely into that category, as I can experience soggy remembrance over the sandwich I had for lunch yesterday. 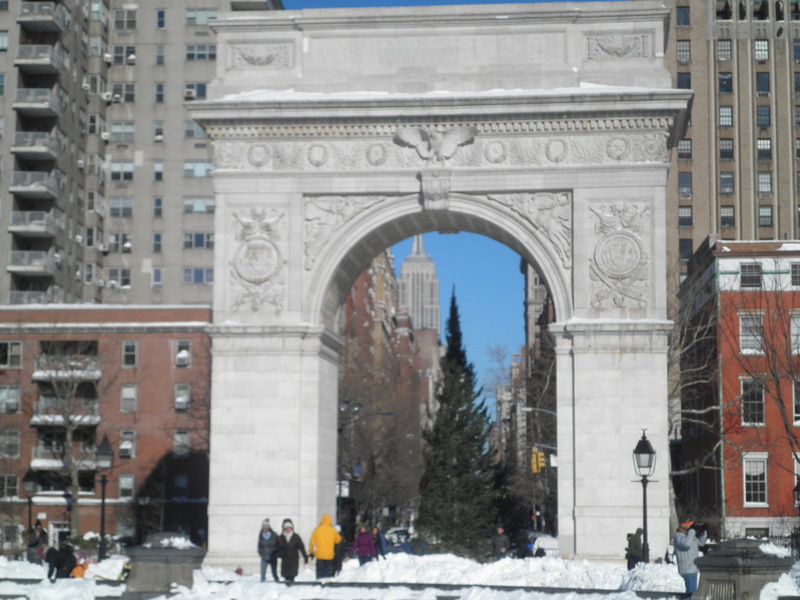 This month, I find myself particularly nostalgic over events of 30 years ago, when I moved from Hammond, Indiana to New York City to begin law school at New York University, located in the heart of Greenwich Village. I was both excited and anxious about my move. Though I was delighted to be attending NYU, a highly regarded law school with a strong commitment to supporting students who wanted to become public interest lawyers, I was thoroughly intimidated by my remarkably accomplished classmates. I had spent a year between college and law school living with my parents in Indiana, working as a stock clerk for an area drug store chain and writing articles for a weekly community newspaper. By comparison, when I heard about the fancy internships, fellowships, and jobs that many of my classmates had held, I wondered if I was in way over my head. My apprehensions were stoked by the words of an attorney friend of my parents back in Indiana, who told them that I would be “eaten alive” by the presumably cutthroat, hyper-competitive students at NYU. I began law school with hopes of practicing as a public interest attorney and eventually pursuing a career in politics. I did not anticipate that I would return to academia as a full-time professor. Furthermore, I had very little interest in the workplace issues that have so profoundly shaped my focus and worldview. However, even though my career path diverted somewhat from my original plans, I am grateful for opportunities and support I received at NYU that have helped to open doors to where I am today. I plan to write more extensively about my experiences in higher education someday, but suffice it to say that NYU was the right place for me. Like most law schools, the standard classroom instruction was overly centered on the study of appellate court decisions. But NYU was and remains a leader in clinical and lawyering skills instruction, and in my judgment its support for public interest legal endeavors has long been second to none. In addition, while NYU didn’t free us from all the stresses and anxieties of the law school experience, it was, on balance, a pretty neat place to be. 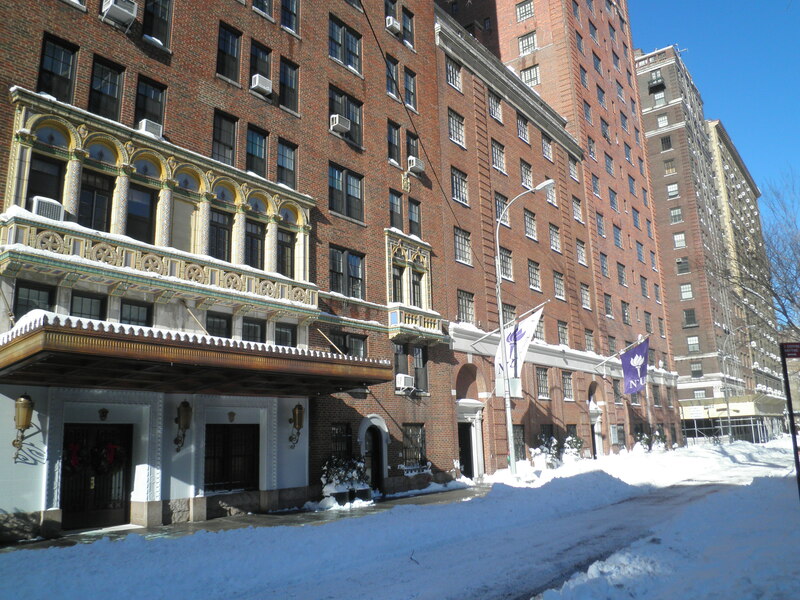 In addition to offering a rich array of student activities, it gave us the Village and New York City as our campus. New York of the early-to-mid 80s was a grittier and in some ways more interesting town than its current, shinier, and more expensive incarnation. If you could avoid getting mugged, the cheap diners and Chinese take-out places serving hearty fare, revival movie houses showing double-features of classic films, tickets to Tony Award winning plays for $20, and $4 “nosebleed” seats in Madison Square Garden to watch the Knicks all made Manhattan a surprisingly student-friendly kinda place. 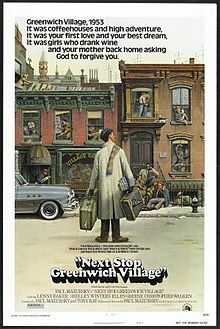 Note: Thanks to Wikipedia for the “Next Stop, Greenwich Village” poster. (It’s a great movie, by the way.) Photos are not contemporary; I took them during a December 2010 visit to NYC. I recently began delving into the works of Joseph Campbell (1904-87), whose writings and lectures on mythology, faith traditions, and the world’s societies made him a singular authority on the human experience. Campbell first appeared on the radar screens of many people via a PBS series of televised interviews with Bill Moyers — “The Power of Myth” — that first aired in 1988. Campbell’s intellectual depth and breadth were remarkable. His work mixed academic disciplines, especially literature, theology, history, anthropology, and psychology, in examining the stories and myths that create surprising commonalities among our different cultures. Even though he was a professor for many years at Sarah Lawrence College in New York, he connected the dots in ways that few people residing in the silos of academe ever manage. All the time. It is miraculous. I even have a superstition that has grown on me as the result of invisible hands coming all the time — namely, that if you do follow your bliss you put yourself on a kind of track that has been there all the while, waiting for you, and the life that you ought to be living is the one you are living. When you can see that, you begin to meet people who are in the field of your bliss, and they open doors to you. . . .
As an educator, Campbell’s advice is music to my ears. Throughout my career as a law professor and lawyer, I’ve encouraged law students to discover and pursue their passions. After all, the most satisfied lawyers are those whose work engages them, and I want my students to discover their true vocations. And yet, I realize that follow your bliss can disintegrate easily into the most banal forms of encouragement. Joseph Campbell was not a superficial person, but his signature line is tailor made for every soon-to-be-forgotten commencement speech, from junior high to graduate school. Furthermore, let’s acknowledge that many of us who might encourage others to follow their bliss are among those for whom that philosophy has more or less worked. In the meantime, there are other folks who have tried to follow Campbell’s advice and encountered frustration and disappointment, despite their best efforts. Indeed, one of the myths generated by an ever-growing pile of self-help books and seminars is that if you just work hard enough at it, you can realize all your dreams. Campbell easily can be misread to suggest that. And nowadays, with the success of books such as The Secret, that message has devolved to suggest that if you simply wish for something to come true, it will. Finally, remember what psychologist Abraham Maslow said about how basic survival needs must be met before we’re able to strive toward reaching our full human potential? Let’s understand that for those who are struggling mightily just to put food on the table and to keep a roof over their heads, these higher level aspirations may appear as far away as the moon. Nevertheless, following one’s bliss remains a worthy objective and philosophy, whether for a young person just graduating from high school, an adult recovering from a personal setback, or a retiree who feels there is some unfinished good business before her. This is what fills our lives with hope, zest, and maybe even joy, right? And if the idea of discovering and following one’s path in life resonates with you, perhaps you’ll benefit by taking a deeper look at Campbell’s work. But be advised that you have to be open to this stuff, and on this point I speak from personal experience. Ten years ago I would’ve unfairly dismissed Campbell’s observations about mythology, legends, and stories as a lot of babble, but today I welcome his worldly insights. I’m especially appreciative that he brings these insights to the level of helping us understand our places on this planet. This is no small gift for anyone who is trying to create a more meaningful life. 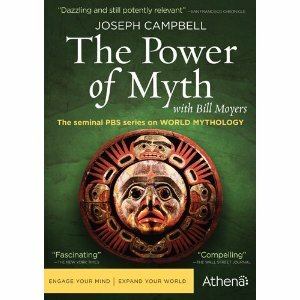 “The Power of Myth” PBS series, featuring Joseph Campbell being interviewed by Bill Moyers, is probably the best introduction to Campbell and his work. The Joseph Campbell Foundation is an excellent source of information and offers free registration. This extended bio of Campbell is a nice complement to the PBS series. Hat tip to career coach and consultant Terry Del Percio for urging me, during the course of a Facebook exchange, to finally break open and watch “The Power of Myth” DVDs that I had purchased months ago. At least nine people have been wounded and two are dead following a shooting this morning near the Empire State Building in Manhattan. One of the dead is the gunman, who was shot by police. Early news reports at least raised the spectre of terrorism. One analyst even discussed the possibility that terrorists might stage a test run of sorts to see how law enforcement authorities would react to shootings in crowded midtown Manhattan. I suppose that in view of the memories of 9/11 seared onto New York’s consciousness, such speculation is natural. The shooting occurred at 9:03 a.m. ET at Fifth Avenue and West 34th Street. The fatal incident was the act of a disgruntled former employee. The gunman, a 53 year-old women’s accessories designer named Jeffrey Johnson, was fired from his job during a corporate downsizing at Hazan Imports and returned to his office Friday morning to target his 41 year-old boss. The shooter followed his coworker down 33rd Street, and shot him outside of Legend’s Bar, according to the New York Post. It is unclear if he fired into a crowd of pedestrians outside of the Empire State Building, or if pedestrians were caught in crossfire, reported the New York Daily News. Frightening sign of the times? Obviously we know way too little to make definitive assessments about what drove this man to do what he did. However, while conceding the likelihood of some pre-existing mental instability or illness, I’m willing to suggest that what pushed him over the edge had something to do with the desperation, fear, and anger that can accompany losing one’s job at middle age. I’m not making excuses for such a terrible act of violence, only offering a possible explanation. Perhaps I’m guilty of speculatively filling in the gaps, but once I read some of these details, I had a sinking feeling that this is a sign of sad and desperate times. We often think of a term such as “social responsibility” in highfalutin ways, associating it with grand mission statements about corporate ethics, community involvement, and safeguarding the environment. But a bunch of Virginia auto shops led by Quality Auto Paint and Body gave us a lesson in what it really means: After learning that the car of area college student Jordan Allison had been vandalized repeatedly, including the “keying” of anti-gay slurs on its side, these businesses worked together to give the vehicle a major facelift and upgrade. Henegar says his shop and 10 other businesses (Parts Unlimited in Vinton, Advance Auto Parts, Moon’s Auto Body, Rice Toyota, Val’s Automotive, The Rod Shop, B&C Exterminating, Twists & Turns, AJ’s Landscaping, and Sunnybrook Auto Spa) went to work on Addison’s car, giving it a new paint job, tires, tinted windows, a new stereo and security system. He estimates the total value of the new parts to be over $10,000. There’s a nice video news clip that accompanies the article, including the showing of the “new” car to Allison at the auto shop. Henegar, rather than trying to grab credit, actually is apologetic in explaining that his shop couldn’t afford to make all the repairs on its own. Yup, I plead guilty. Had you asked me what types of businesses are likely to take a stand against bullying and homophobia, auto shops never would’ve made my list. Here’s to all the workers and businesses who stood up to bullying and supported a young man who had been mistreated. I’m sure that Jordan Allison will remember this kindness for the rest of his life. Remember when e-mail was the neatest thing? Like when you had your first e-mail account? How exciting it was to receive and send those early missives! In fact, if you were like me, some of those e-mails involved exchanges with friends about “incredible” it was to be able to communicate this way! Suicides among active-duty soldiers in July more than doubled from June, accelerating a trend throughout the military this year that has prompted Pentagon leaders to redouble efforts to solve a puzzling problem. The Army, which is the only branch of the military that issues monthly press statements on suicides, said 26 active-duty soldiers killed themselves in July, compared with 12 in June. The July total was the highest for any month since the Army began reporting suicides by month in 2009, according to Lt. Col. Lisa Garcia, an Army spokeswoman. Suicides in the Air Force, Navy, and Marine Corps are at high rates as well. This is an ongoing tragedy and a national shame. I’ll be writing more about this in the near future. Companies across the nation are gleefully denying interns fair wages for their work, in flagrant violation of long-standing labor law, and have the nerve to tell the world they are doing these people a favor. I’ve written a lot about this topic. Go here for more blog posts and resources. I’m delighted to welcome Kimberly Webster, Northeastern University law student and longtime Healthy Workplace Bill advocate, who will spend the fall quarter with the New Workplace Institute as a legal intern. 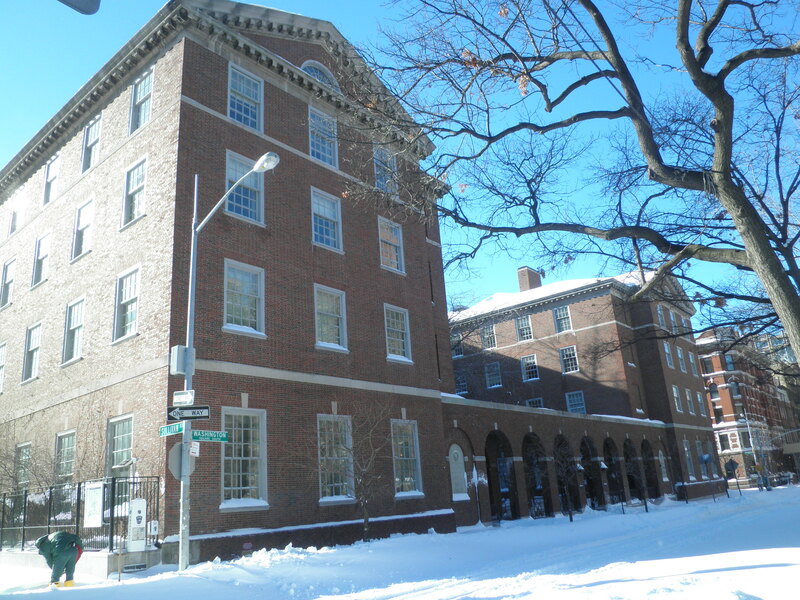 Northeastern, located here in Boston, is one of the nation’s leading training grounds for public interest lawyers. It is highly regarded for its innovative co-op program, in which students do full-time legal internships every other quarter. Kim has just completed her first year, and she’ll be joining us for her first co-op placement. Kim will be playing an important role with several Institute projects, all of which you’ll be hearing about later. I’m also pleased to report that Dr. Ronald Schouten, Harvard Medical School and Massachusetts General Hospital and author (with James Silver) of Almost a Psychopath will be the featured speaker at the NWI’s Friday, October 19 program on workplace bullying, a half-day program in the morning through early afternoon. I wrote a short, enthusiastic review of the book here and believe it offers valuable insights about certain individuals who engage in bullying at work and in abusive behaviors generally. We’ll be circulating more details about the program, which will be held at Suffolk University Law School in Boston, during the weeks to come. Here’s an often underrated indicator of how a social movement gains momentum and legitimacy: More and more victims of abuse and mistreatment begin to speak out publicly, sharing their experiences and calling for change. It’s happening with the workplace anti-bullying movement right now, and I realized that many of us (myself included) have taken this shift for granted. Put simply, greater numbers of people who have experienced (or closely witnessed) workplace bullying are making their voices heard. They are doing so through legislative testimony, letters to the editor and website comments, blogs and articles, media interviews, radio and television appearances, and posted videos. Believe me, it hasn’t always been this way. When this movement was in its infancy roughly a decade ago, it was unusual to find bullying targets willing to go public with their stories. Public understanding of workplace bullying was at such a low level that most targets didn’t even know what to call their ordeals. Many who did were embarrassed and reluctant to talk about their experiences openly. In fact, the paucity of targets’ narratives was such that at the first American conference on workplace bullying hosted by Drs. Gary and Ruth Namie in January 2000, a session featuring a bullying target describing her experiences in detail was regarded as a pioneering and important part of the gathering. I believe that at least three major factors have made it easier and safer for individuals to share their stories. First, putting a label on this form of abuse has made it much easier for us to talk about it. True, some would prefer to use terms such as work abuse or mobbing, and others consider the labels of bullying and bully to be too stigmatizing. Regardless, it’s very difficult to talk about something without giving it a name, and the term workplace bullying has resonated with many. Second, growing media coverage of workplace bullying has brought this phenomenon out of the closet. Bullying targets have shared their stories with reporters, and many others have done so — perhaps more anonymously — through comments posted to articles and blog pieces on the Internet. This has served as a powerful validating force for those who have experienced workplace bullying, making it easier for them to speak out as well. Third, the legislative campaign to enact the Healthy Workplace Bill has highlighted workplace bullying as a significant social and public policy concern. Bullying targets have shared powerful in-person testimony and written statements with their elected officials. Many others have visited, called, and e-mailed their legislators urging support. When those who have experienced or observed injustice and mistreatment become voices for change, remarkable progress can occur. We are at that juncture today with the U.S. workplace anti-bullying movement. A form of abuse that few even knew what to call a decade ago now is entering the mainstream of our discussions about the workplace. This progress can be attributed in no small part to the growing chorus of voices calling for change. In making these observations, I don’t want anyone who has experienced workplace bullying to feel compelled to share your story publicly. There is no shame whatsoever in remaining private, and in many cases it is the wise thing to do. Indeed, going public with one’s story may have mental health, career, and legal implications, so the decision to do so should be weighed carefully. For some, a safer approach may be to describe one’s experiences without a lot of detail in a letter to a legislator, urging passage of the Healthy Workplace Bill. If preserving anonymity is important, blogging or posting comments on the Internet using a pseudonym is a viable option as well. This is one of a series of blog posts under the “workplace bullying 2.0″ rubric, exploring the degree to which workplace bullying has become a mainstream topic in American employment relations. For other posts in the series, go here.